The new X5 gets a rear locking diff, M5-inspired turbo tech, and some comically big nostrils. Topline: Never one to let Audi have all the fun, BMW unveiled its redesigned X5 mid-size SUV on Tuesday. This will be the fourth generation of the wildly popular luxury crossover that arguably kicked off the whole luxury crossover phenomenon when it first debuted almost two decades ago. What's New: The 2019 X5 distinguishes itself from its predecessor with an all-new design that sports narrow tail lamps and a pair of comically large kidney grilles; in fact, the whole car has grown. The new X5 is 1.6 inches longer between the wheels, 1.1 inches longer overall, 2.6 inches wider, and an inch taller than the outgoing model. The big nostrils up front are flanked by optional Laserlight head lamps. 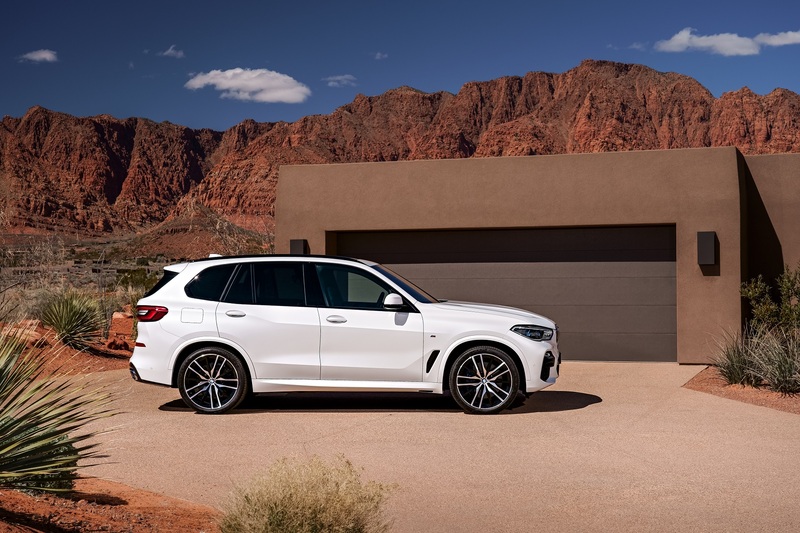 In the U.S., the X5 will be available with your choice of a 335-horsepower, 3.0-liter, twin-turbocharged straight-six or a 456-horsepower, 4.4-liter, twin-turbocharged V-8. The V-8's turbos are nestled inside the valley of the "V," just like they are in the 600-horsepower M5. With eight cylinders on tap, the X5 gets to 60 miles per hour in 4.6 seconds—Not bad for a 5,170-pound SUV. 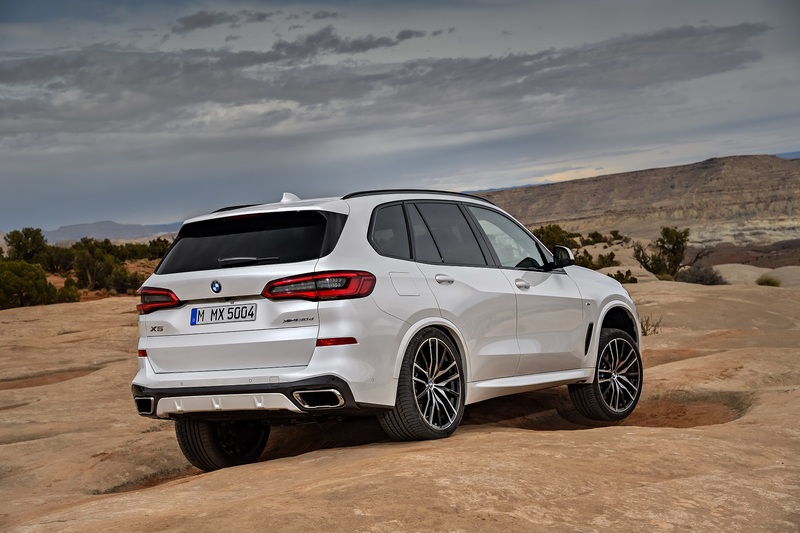 In case your commute involves gravel, mud, or snow, the new X5 can be had with an Off-Road Package that throws in a rear locking differential and air suspension. New interior bells and whistles coming to the big Bimmer include four-zone air conditioning, a panoramic moonroof 30 percent larger than the old one, dynamic ambient lighting that alerts occupants of an open door or incoming phone call, heated and cooled cup holders, and an optional, 20-speaker Bowers & Wilkins sound system. 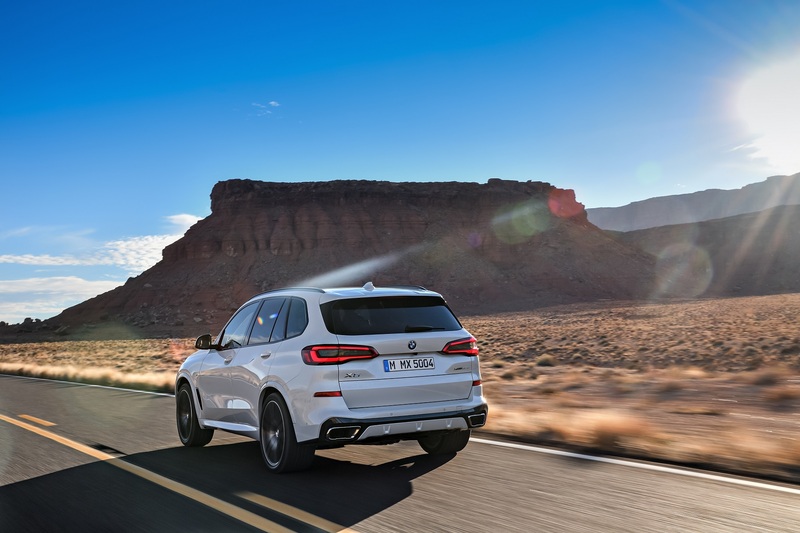 Quotable: Speaking on the new SUV's appearance, BMW Design Senior Vice President Adrian van Hooydonk says, "The BMW X5 embodies the origins of the BMW X family and, in its fourth generation, sends out its most powerful message yet in terms of presence and modernity. It defines a new X design language—robust, clear, and precise." 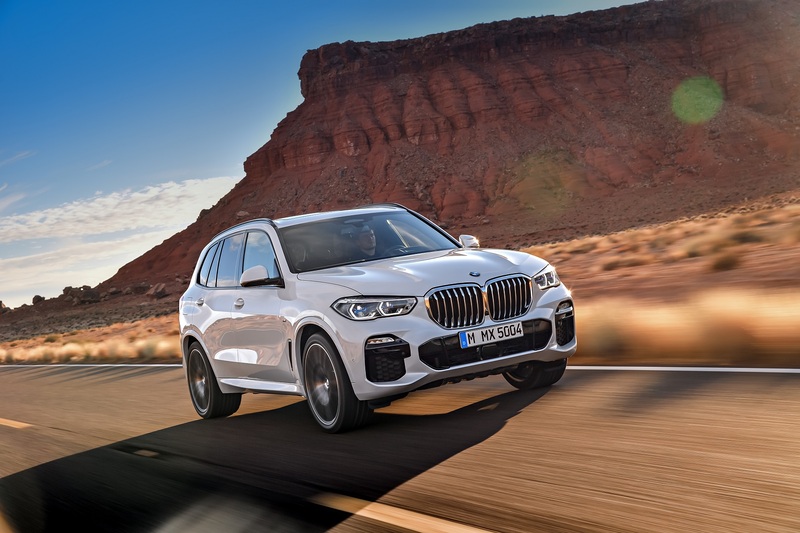 What You Need to Know: The X5 is expected to start at around $60,000 and appears to be the crossover to get if you must have the biggest kidney grilles on the block... until the X7 drops, anyway. The 2019 BMW X5 will be built in Spartanburg, South Carolina and hit dealerships this November. The burly, off-roading SUV has morphed into its exact opposite: A peppy hatchback for Euro car nerds. Actually, it might be if you're 8.